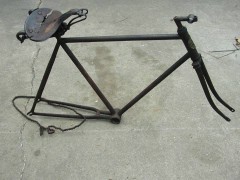 Rare Mesinger Superba saddle on this old machine! 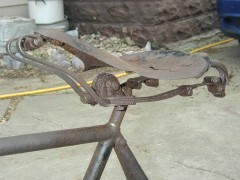 In the early teens, Indian motorcycles used a very similar seat. Entry Submitted by Dave Stromberger. 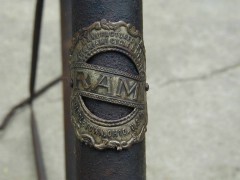 Mesinger Superba saddle, similar to that used on 1913 Indian motorcycles.